This has historically been a dangerous time of year to be a New South Wales supporter. We convince ourselves that the selectors will actually pick a team based on form rather than reputation, that Queensland’s spine will start to show signs of scoliosis, and that Mitchell Pearce will finally find his feet at Origin level. And then the series begins. Mitch Pearce’s opening kick finds Billy Slater on the full, a back rower falls for a Johnathan Thurston dummy, the defensive line treats Cameron Smith like he’s covered in spiders, and the slow descent into Origin agony begins. But Thurston isn’t there anymore. Nor are Cameron Smith, Cooper Cronk or Matt Scott. Darius Boyd couldn’t find a spot on the wing, and Matt Gillett is nursing a broken neck. Sure, Billy Slater is still hanging in there, but school bullies never look as tough when they aren’t surrounded by their mates. Suddenly, after years of painful irony as we waited for a team of Immortals to start showing their age, the Queensland juggernaut looks beatable. But instead of celebrating this momentous occasion, most NSW supporters are incapable of jumping aboard the #talkuptheBlues bandwagon. Once bitten, 11 times shy and all that. Personally, I’m sick of pussyfooting around the obvious, so I’m just going to come right out and say it – this is the weakest Queensland Origin team in over a decade, and they don’t stand a chance against the strongest New South Wales side in a generation. So all you Blues supporters out there, let’s take this rarest of Origin opportunities and stick it to the Maroons the only way we know how – with extreme arrogance. Here are five reasons why we should be confident heading into Game 1 on Wednesday night. This was one area in which NSW dominated their Queensland counterparts in 2017. Despite losing their 11th series in 12 attempts, the Blues won the battle of the forwards. They continuously hammered the Maroons through the middle with speed, aggression and relentless enthusiasm. Queensland bent under the pressure, but thanks to the guile of Cameron Smith, they never broke. The inclusions of Paul Vaughan, Jack de Belin and Reagan Campbell-Gillard at the expense of Josh Jackson, Aaron Woods and Andrew Fifita will only improve an area that’s already a key strength. RCG will set the tone in defence with his maniacal line speed and reckless hitting, while the likes of de Belin and Jake Trbojevic will run tirelessly off Damien Cook all night. Conversely, the Maroons pack looks hollow and incomplete. Kind of like Barnaby Joyce without an akubra. Gone are the likes of Smith, Scott and Gillett, along with their 82 games of Origin experience. Josh McGuire will be severely underdone having not played since Round 8, Gavin Cooper is badly out of form, and Dylan Napa, Jarrod Wallace and Felise Kaufusi boast only five Origin games between them. As they always do, the Queensland pack will grow another head – I mean leg – when they pull on that Maroon jersey. But it won’t be enough this year. 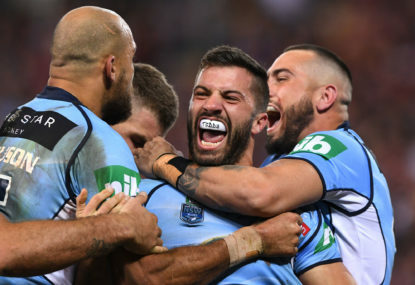 New South Wales have improved an already dominant forward pack, while Queensland has lost experience, creativity and mongrel. Most damning of all, not a single Maroon forward would crack the Blues starting line-up. For years NSW supporters have begged their beleaguered coaches and selectors to pick the side on form rather than reputation or incumbency. Finally, our prayers have been answered. Brad Fittler and his panel of advisors have done as they promised, and transformed a team in desperate need of a fresh start. Gone are the likes of Josh Dugan, Blake Ferguson and Aaron Woods, who while good players in their own right, no longer deserved their spot in the side. In their place are players in scintillating club form. 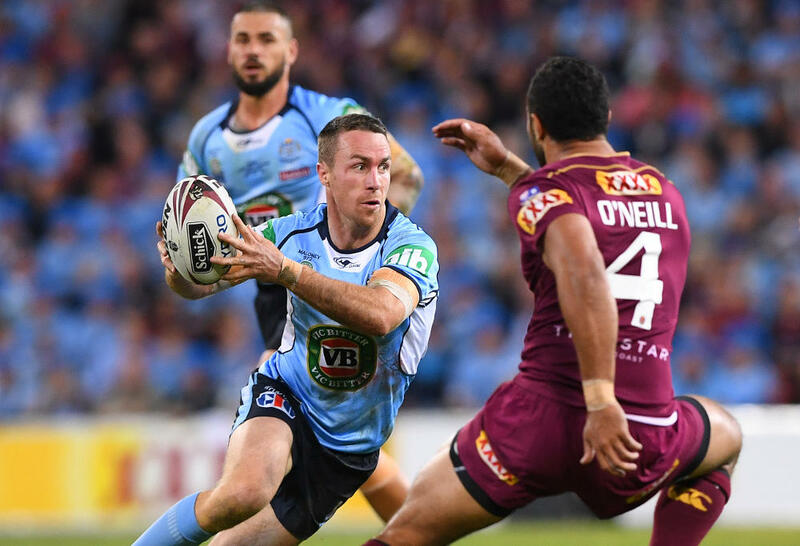 In fact, at the time the NSW team was selected, nine of the 17 players came from teams ranked either first, second or third on the NRL ladder, while 13 of the 17 came from teams inside the top eight. Queensland have gone for a more traditional Origin approach. With only three of their 17 players originating from squads inside the top three and nine of their 17 players coming from top eight sides, the Maroons are relying on Queensland spirit to get them over the line. Speed kills in the NRL. There’s just no substitute for raw pace. Josh Addo-Carr and James Roberts have been selected for this very reason. Both men have put together highlight reels that Domonique Wilkins would be proud of, creating opportunities out of nothing and scoring tries by simply running faster than the opposition. In selecting the likes of Addo-Carr, Roberts and James Tedesco, there’s no doubt that Fittler feels the need for speed. But this is hardly a Maverick approach. Through 12 rounds of the season, Freddy’s new look fab five have accumulated 30 tries, 47 line breaks and 243 tackle busts. In comparison, the back five for Queensland have registered only 25 tries, 22 line breaks and 129 tackle busts between them. Such an obvious lack of strike power hasn’t been on display since the last time I went ten pin bowling. Rusted on Queenslanders will be quick to remind me that State of Origin isn’t the place for flashy skills and brightly coloured boots. It’s a brand of football built on punishing defence and experience, which is an area where the Maroons have an obvious edge over the Blues. But the reality is that Billy Slater is 35 years old, Greg Inglis is 31 and still recovering from a serious knee injury, Dane Gagai is out of form and Valentine Holmes has swapped positions more often this season than Ron Jeremy. Experience counts for a lot in Origin, but this year, speed is king. There’s something about this kid. Something special unfolding before our eyes. At the tender age of 20, Nathan Cleary is already the complete package at the game’s most important position. And he’s only just scratching the surface of his potential. What’s most striking about Cleary’s game is the absence of a clear weakness. He’s strong defensively, has a good short and long passing game, he’s a powerful runner of the football, possesses a sharp kicking game, is one of the competition’s most accurate goal kickers, and most importantly of all, wants the ball in his hands when the game is in the balance. Many will point to the Jarrod Mullen fiasco as a reason to hold him back for another year or two, but with no offence to Jarrod, Cleary is in another stratosphere. The kid’s work ethic and professionalism are already legendary at Penrith, and those who know him best are confident he’ll handle the step up in competition. I don’t know what it is, but I just have the feeling that Wednesday night will be the dawn of a new Origin legacy. Just as one set of champions depart, another will step forward. This might sound a little rich coming less than a year since Blake Ferguson and Josh Dugan tied one on at the Lennox Point Hotel a couple of days before an Origin decider. But that boozy debacle has given the Blues a rare opportunity to wipe the slate clean. 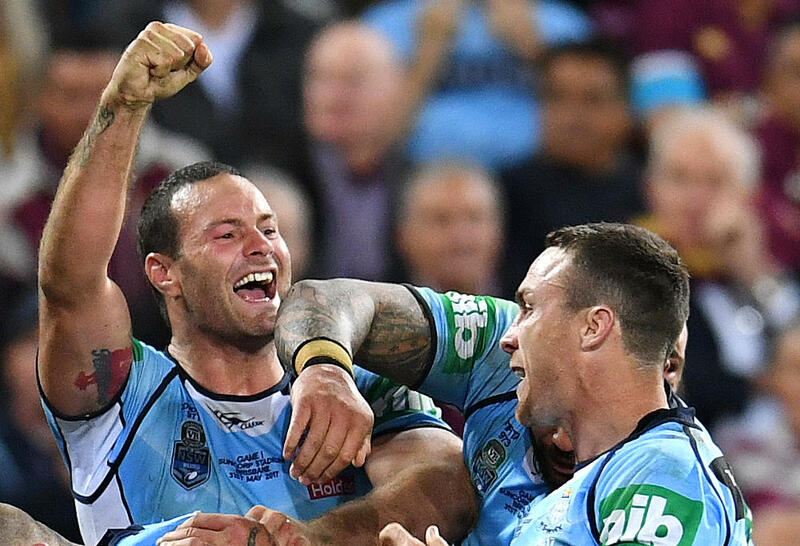 While the Maroons face mounting pressure to maintain their culture amid dramatic generational change, New South Wales have been given a fresh start. By blooding an unprecedented 11 debutants, Brad Fittler has ensured his side isn’t burdened by the nightmares of the past decade. Instead, he has a squad of hungry hopefuls at the top of their game just desperate to show they belong at Origin level. 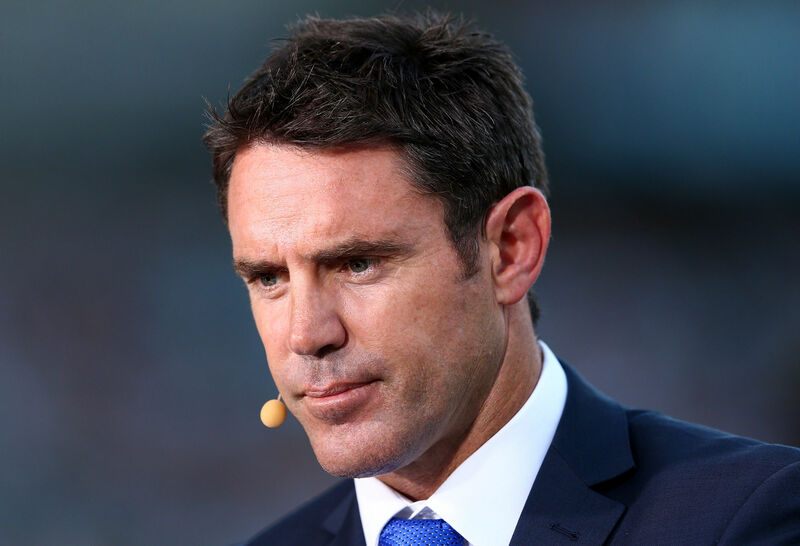 And by surrounding his side with cockroach royalty, Fittler is doing everything in his power to ensure his men are ready for Wednesday night. Previous New South Wales sides talked themselves out of the contest before the series had even started. Convinced they couldn’t beat the greatest Queensland side in Origin history, they never really stood a chance. This year, things will be different. Instead of looking over and seeing fear in 13 sets of eyes, Queensland are going to see Matthew Hayden standing a metre outside his crease on Day 1 of a Test match, just daring the bowler the pitch it up. Run it straight Queenslanders! A fair-weather Newcastle Knights fan, Tom doesn't leave anything on the field. He always gives 110 per cent and never forgets to give full credit to the boys. But in a game of two halves, it's important not to look too far ahead, so Tom's just taking it one week at a time.